When it comes to gift giving, there always seems to be at least one person who is impossible to buy for doesn't there? 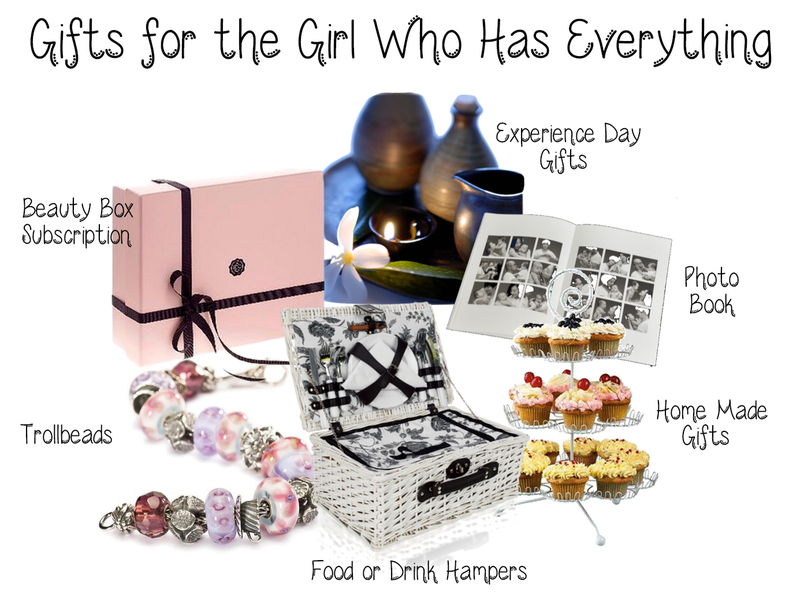 I think we've all struggled at some point or another to buy a gift for 'the girl who has everything' and coming up with a nice present idea that they don't already have can have you racking your brains to no avail. So what exactly do you give the girl who has everything? Here are some of my ideas! Most of us have hundreds of pictures stored away on memory cards and on our computers that are rarely looked at. If you have lots of pictures with the person you want to give the gift to, then a photobook makes an excellent personal present and is something that can be looked back on in years to come. You're even able to add your own funny or heartfelt captions to the pictures to personalise it further. 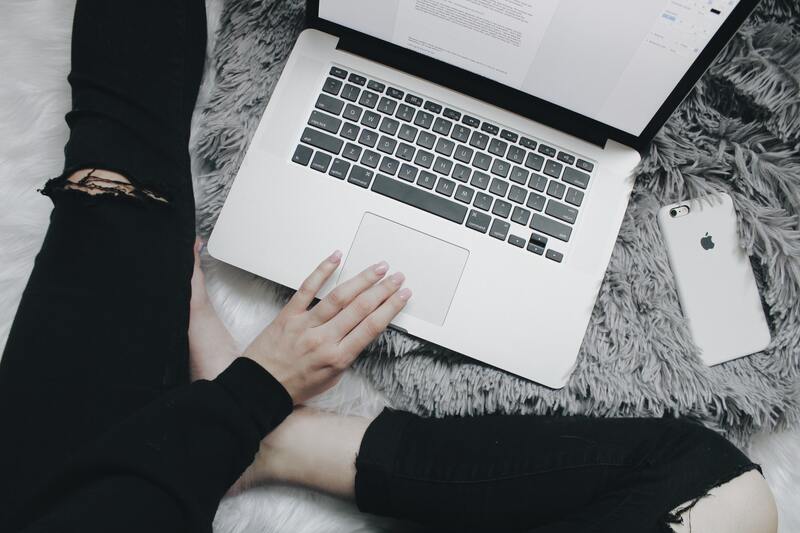 The different sizes and covers that most companies offer mean there's something for every budget, ranging from under £10 all the way up to £100 and more. Most photo printing places such as Photobox will probably offer something like this, as well as some big mainstream shops including Tesco and Argos. Charm bracelets make great gifts because over time bracelet can be added to, with each charm having it's own memories and sentimental value. You could go with Trollbeads or Pandora, Essence are another good choice and are compatible with Nomination and Zoppini breacelets. Once they have a starter bracelet, charms can then be given for future birthdays and Christmases too. There are literally hundreds of different charms available with new collections being released all the time, so even if they already own a charm bracelet few finding additions that they don't have should be easy. If your recipient is a lover of beauty and skincare, beauty boxes are a fun and exciting way to try new products. Even if she owns every beauty product under the sun, there are bound to be some undiscovered brands waiting to be found in beauty boxes. There are lots of different beauty box subscriptions out there, you're able to buy a one-off box or a three, six or twelve month subscription. I think three months would make a great gift and costs around the £35 mark with most of the beauty box companies. UK beauty boxes include Glossybox, Joliebox and She Said Beauty boxes, if you live elsewhere just search Google to see what companies are available to you. Spa days, daytrips, weekend breaks or tickets to a show make great gifts not only for the girl who has everything but also the type of person who isn't a huge lover of material things. Best of all it can be as expensive or inexpensive as you like, tickets to a show in a local theatre wouldn't need to cost the earth and spa days can be bought for around £99 for two people. Until I started reading craft blogs and seeing the beautiful pieces people create, I would have put handmade gifts down to something you made for your mum out of paper mache when you were about seven. But there really are some amazing handmade gift ideas out there, Pinterest and Instagram are full of inspiration and so if you're a bit crafty and creative this could be something to look into. It could be anything from baking to textile crafts, even creating things like hand made candles. It's a way to give someone a truly personalised and unique gift that they couldn't possibly already own. Gift hampers come in a variety of shapes and sizes, not just limited to food you can buy sweets hampers, ones containing different blends of coffee, wines and alcohol and even gluten free hampers. If your recipient is into something specific you're bound to find a hamper to fit their tastes, or you could even buy a pretty basket and add your own items. .What would you buy for to the girl who has everything? Those sweet trees look so cute! All of these are great gift ideas! I always love experience gifts! I love the charm bracelet idea! I wish I had more makeup/cosmetic loving friends because I would love to use sub services as gifts! I'd positively love to be on the receiving end of a beauty box subscription! Great ideas here. Hmmmm...great gift ideas. Thanks for sharing this to us. It will really help a lot for I am having troubles thinking of gifts this coming holiday season. love the ideas! would you like to follow each other? let me know! These are some great ideas. I'm so glad you linked up at Romance on a dime.